Gallery Updates: Exclusive Brand New "Premiere" French Magazine Scans Added! Hugh is on the cover of "Premiere" a french magazine to promote and discuss more on his brand new venture "The Greatest Showman" which will be airing this Christmas. Check out the amazing scans from the magazine and enjoy the previews below! Brose our gallery to view the rest of the additions! Project Updates: Exclusive Hugh Jackman In "The Greatest Showman" Posters + Movie Stills Have Been Added! Finally I have added some of the best new stills and promos from the new movie "The Greatest Showman" starring Hugh in the lead role along with Zac Efron. Check out the gallery to view the rest of the new additions and enjoy the previews below! Site Updates: Exclusive Happy Hallowen From HJC Staffs To All Visitors! 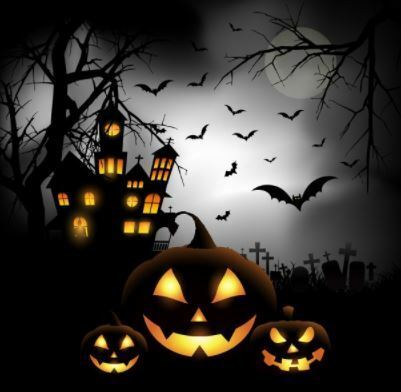 I would like to wish you all on behalf of the staffs here a really Happy Halloween and have a safe trick or treat with your friends and family! Gallery Updates: Exclusive More Movies Stills From Hugh's Projects Have Been Updated! Thank you for still continue to give us your never ending support as we continue managing this amazing site. We have added images from his projects especially for promos and posters with Hugh on them. So check out more new additions in our gallery and enjoy the previews below! Gallery Updates: Exclusive Brand New "The Prestige" Official Posters And Stills Have Been Added! Thank you guys for still waiting with patience as we are striving to catch up with Hugh's projects and at the moment I am busy adding up the missing images from Hugh's thriller "The Prestige" where he team up with Christian Bale as magicians. We have added some of the official movie stills and promotional posters in high definition. Check out our gallery for more addition in there and enjoy he previews below! He is one of Hollywood’s most versatile stars, and on 16 November 2017, Hugh Jackman will receive the “Entertainment” BAMBI in honor of his talents as an actor, singer and film producer. BAMBI, Germany’s most important media award and one of the biggest events in the social calendar, will take place on 16 November 2017 for the 69th time. Television channel “Das Erste” will broadcast the gala live from Berlin’s Theater am Potsdamer Platz at 20:15." Gallery Updates: exclusive Brand New "The River" Official Posters Added! Finally we have found few brand new posters from Hugh latest theatrical play "The River" so you can catch all these lovely images of Hugh on these stunning posters collection that is really hard to see somewhere else so check out the gallery to view the rest and enjoy the previews below! Project Updates: The 49-year-old actor spotted filming his upcoming movie The Front Runner on October 18 in Atlanta, Georgia. Hugh Jackman is busy at work! The 49-year-old actor was spotted filming his upcoming movie The Front Runner on Wednesday (October 18) in Atlanta, Georgia. In the movie, which is a film adaptation of All The Truth Is Out: The Week Politics Went Tabloid by Matt Bai, Hugh plays the role of disgraced politician Gary Hart. Here’s a plot summary: American Senator Gary Hart’s presidential campaign in 1988 is derailed when he’s caught in a scandalous love affair. A bevy of A-list actors like Ryan Reynolds, Hugh Jackman, Mark Wahlberg and Dwayne Johnson are being eyed for the 'Pokemon' movie. "The project was first announced last year amid the rising popularity of the game 'Pokemon GO' that made players chase down the virtual pocket monsters in real life using GPS. Titled 'Detective Pikachu', it is being directed by Rob Letterman. According to the sources, the makers of the film are eyeing the actors. Reynolds's last big screen appearance was 'Life' and 'The Hitman's Bodyguard' earlier this year. He will next reprise his role as the Merc with a Mouth in 'Deadpool 2' which is scheduled to come out on June 1, 2018. He may also return for 'X-Force'. Jackman was last seen on the big screen in comic book adaptation 'Logan'. It marked his final appearance as Wolverine in the 'X-Men' franchise. His next projects include musical drama 'The Greatest Showman' and comedy drama 'The Front Runner'. Wahlberg did 'Transformers: The Last Knight'. He will next star in comedy 'Daddy's Home 2' and crime thriller 'All the Money in the World'. He also has a TV show called 'Wahlburgers' which stars his family including brother Donnie Wahlberg. Johnson will soon be seen in 'Jumanji: Welcome to the Jungle' after his movies 'The Fate of the Furious' and 'Baywatch'. His next projects include 'Rampage', 'Skyscraper' and 'Fighting with My Family'. The former wrestler has also been signed on an untitled 'Fast and Furious' spin-off that will focus on his character Luke Hobbs and Jason Statham's Deckard Shaw. The movie is due in 2019, pushing back the next 'Fast and Furious' instalment." Site Updates: We From Hugh Jackman Central & Jackman's Landing Is Wishing Happy Birthday To Hugh! Sorry for being a bit late but we here at Jackman Central along with Jackman's Landing are wishing Hugh Happy Birthday! To somebody who brings a ray of sunshine into our lives every day. Happy Birthday, Hugh! And thank you for being you. Hugh Jackman, the Australian actor recognized for his role of 'Wolverine' in the X-men series is already in Colombia. The Hollywood star, known for being a coffee lover, arrived on Friday in a private jet to Benito Salas de Neiva airport, from there he moved to Garzón municipality, where he will be visiting coffee farms this weekend to record videos with the grain growers, in order to encourage coffee consumption in developing countries such as Colombia in their country of residence, United States. Its agenda includes a visit to the Central Cooperative of Caficultores del Huila, a place that welcomes thousands of coffee growers from municipalities near Garzón, such as Gigante, Agrado, El Pital, Tarqui, Guadalupe and Suaza. New Appearance: Exclusive Hugh Jackman Was Caught Partying In London With His Friends! Thank you for the amazing support that we have been getting throughout our career in managing this amazing site! We have a lot to plan for this site for many more years to come! We have added images from Hugh when he was partying with friends in London so check out the gallery and enjoy the previews below! New Appearance: Hugh Jackman enjoys an afternoon signing at a New York Jets football game! He's the Australian movie star whose ripped physique is often on display while playing Wolverine. But even Hugh Jackman isn't opposed to picking up a cheat meal at the football, as he was seen eating a hotdog-like snack at a New York Jets game. The 48-year-old seemed to be enjoying himself as he attended the NFL match at MetLife Stadium in New Jersey on Sunday. Project Updates: Exclusive Brand New "The Frontrunner" On Set Filming Images Added! Thank you everyone for still going strong with us after all these years so we hoped that you are all excited that Hugh will be releasing new movies back to back and I am eager to see his new roles! Check out the gallery to view the rest of the new images from his filming for new movie "The Front runners" so check the previews below and enjoy the pictures! New Appearance: Exclusive Brand New Hugh Jackman Recent Attendance At Global Citizen Festival 2017! The social advocacy group hosts the free festival each year to raise awareness of its goal to end extreme poverty by 2030. Fans can earn their tickets by taking part in Action Journeys, a series of challenges designed to promote social activism. This year's headliners include Stevie Wonder, Green Day, The Killers and The Lumineers, with featured performances by The Chainsmokers, Pharrell Williams, Big Sean, Andra Day and Alessia Cara. Hugh and Deborra served as host this year!